TruexCullins Interiors has been collaborating with Cooper Cary Architects on a landmark transformation of the iconic Cliff House Resort, which first opened in 1872. We have been busy over the past few weeks with final preparations, furnishings and finishes in anticipation of the resort’s grand reopening next month. The resort encompasses 70 acres in Ogunquit, Maine with a majestic view of the Atlantic Ocean. 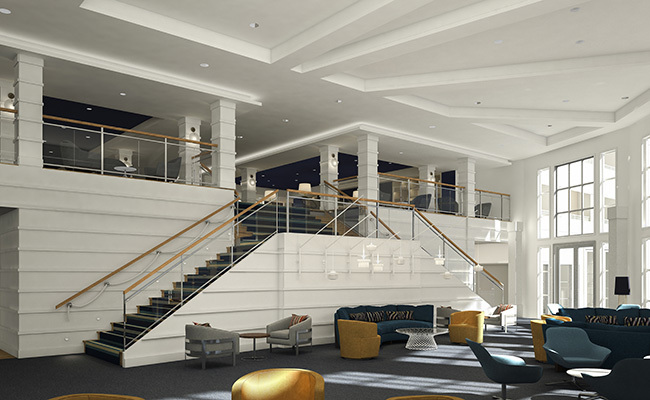 The project includes redesigned guestrooms, 2 new restaurants, an expanded luxury spa and wellness center, and 25,000 square feet of event space, including the grand Atlantic Ballroom that lights up like a gilded conservatory at night with panoramic views of the ocean below. 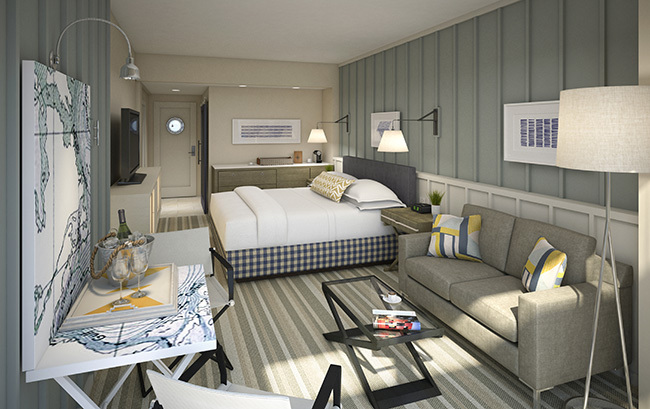 The vision for the resort’s transformation was to reinterpret the classic Maine seaside retreat, focused on the dramatic ocean view and a strong connection to the Maine coast. The guestroom interiors are designed to complement the floor-to-ceiling views of the ocean, with traditional cottage plaids, board-and-batten walls, and heirloom-style rugs. Clever maritime accents include boat cleats, porthole mirrors, and yacht-styled tables printed with navigational charts. Because the resort will be an all-season destination, the interiors also include warm tones, plush fabrics, and plenty of wood-burning fireplaces throughout. The design balances the grandeur and luxuriousness of this awe-inspiring oceanfront resort with a sense of unpretentious authenticity that captures the best of the Maine vernacular. For more images (and to book a room!) see the Cliff House website. 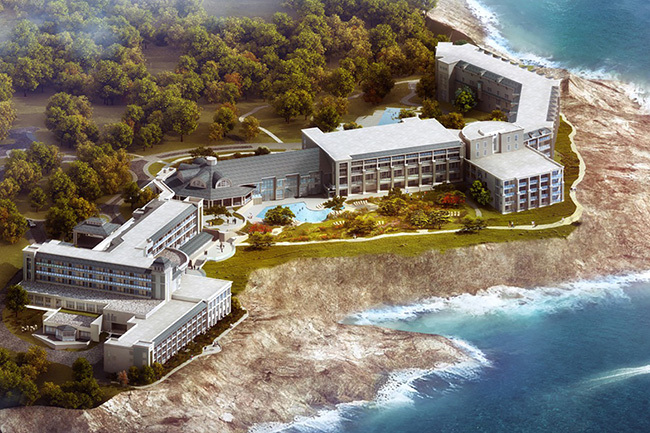 You can also read more about the design on the Cliff House Blog at this link.